Parent involvement is critical to the success of Louisville Elementary School and to your child’s education. One of the great ways to get involved at LES is to volunteer. We have a variety of extracurricular activities, community events, staff support positions and fundraisers that wouldn’t be possible without supportive parents like you. There are opportunities that fit everyone’s interests and schedules – before, during or after school, on-going, at home, short-term, and one-time commitments. Sign up today and get involved! Jog-a-thon An all-school fundraiser that promotes physical activity in our children while helping to raise PTO’s budget. The Jog-a-thon will take place in September. Volunteer role: help on the day of the event with water stations and punching lap cards. Read-a-thon An all-school fundraiser in February that helps students be a part of the effort while encouraging them to read. Last year we raised over a quarter of our PTO budget! Volunteer role: Stuff envelopes with information, calculate results and distribute prizes to the classrooms. Most jobs take about 2 hours; some are after school. LES Home Tour The Home Tour includes new homes in our Louisville community along with Home remodels to tour! Volunteer role: Help organize event, generate event sponsorship, help communicate tour to the Louisville community, and we need volunteers the day of the tour at each home. Office Volunteer Office volunteering has expanded and may include various paperwork and projects as needed, computer and “list serve” assistance, helping with students arriving late, and answering incoming calls. Volunteer role: A 1-2 hour time slot on a regular basis, 1-3 times per week is ideal. Confidentiality is key. Health Room Help the well being of the school! Volunteer role: assist students and the health room para as needed. First-Aid class is provided through the district. Marquee Board Help with publicizing the LES events on two marquee boards. Updates to the board are done weekly and can be done anytime the school is open. Workroom Teacher Preparation A weekly commitment to help with various teaching preparation tasks such as cutting, copying and general “busywork” and offer general support to the teachers and staff. Library Our Librarian, Ann Godby, needs your help during the school day to keep the library the amazing resource that it is! Volunteer role: reshelving books, assisting students with research or finding books. Any amount of time is helpful. Eco-cycle Green Star School Program LES has the distinction of being named an Eco-cycle Green Star School for the past 6 years and help is needed to implement their waste reduction strategies. Volunteer role: help students recycle and compost their waste during the first two weeks of school lunch, and other projects and events that may occur. Open Enrollment Presentation/Tour for Neighborhood Families Parent volunteers provide snacks, set up the library for the Open Enrollment meeting and lead tours for neighborhood parents. Home Tour A Louisville community fundraiser where homeowners open their homes for one Sunday afternoon in the spring. Volunteer role: sell tickets at one of the homes on the tour. Book Fair This is an opportunity for families to purchase new books while helping the LES library earn more books. 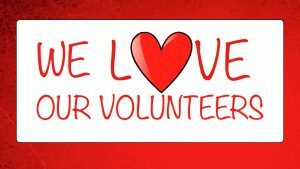 Volunteer role: help organize the Book Fair events in October and April, set-up/take-down of displays, assist with cashiering in 2 hour shifts. Spirit Night Fundraising Dinners Join the LES community in eating out and raising money for the school. Assist in the coordination of 1-2 “Spirit Night” dinners at local area restaurants. Volunteer role: communicate information to school community via website, signs, marquee, Friday Folders etc. Family Movie Night Bring your sleeping bags and money for pizza and snacks in the gym. This fun family event is held one evening in November. Volunteer role: set up/clean up, serve concessions or sell tickets. Ice Cream Social Another fun all-school, family event which is held one evening in April during Family Night and focused on our school goals and the spring Book Fair. Volunteer role: set-up/clean-up, cashiering and scooping in short shifts. Field Day Help set up the field day extravaganza in May. Mr. Dombek needs assistance before school on the day of the event to get all of the equipment ready for the students to use. Spirit Week Spirit Week is a week-long event to celebrate LES’s school spirit. In collaboration with Mrs. Rocke and the LES Student Council, various activities are planned each day which include classroom contests, all school activities and special theme days. Volunteer role: assist with preparation of contests, all school activities, and other needs as determined by Mr. Miller and by Chairs. Running Club Running Club runs from April – May and meets two mornings a week before school. Volunteer role: Facilitate at breakfast (help kiddos get food, be seated, clean up and get to class on time), record mileage during breakfast, take pictures during Running Club, or complete other miscellaneous tasks. Conference Dinners During the week of conferences in October and February/March, volunteers provide the teachers and staff, who work all day and evening, with potluck dinners. This is a gratifying way to demonstrate your appreciation! Staff and Teacher Appreciation Days Participate in a series of heartwarming events to thank the amazing LES staff. 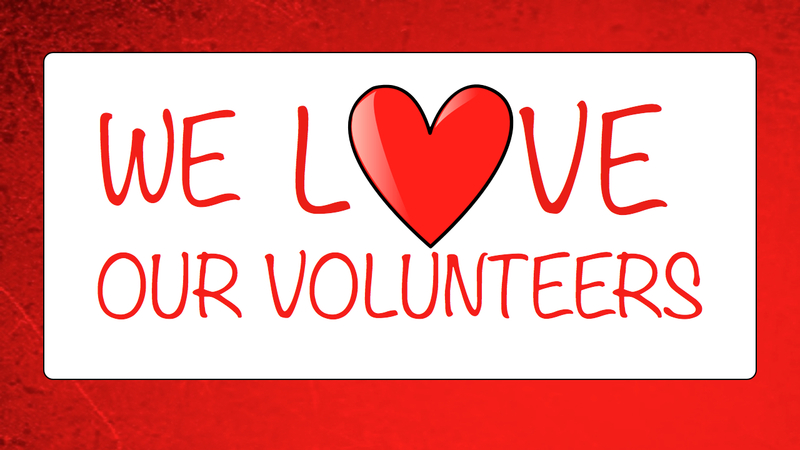 Volunteers are needed to bring homemade goodies to staff/teacher luncheons in December, February, and May. Hearing and Vision Screening Each child has their hearing and vision screened one day in September, so many volunteers are needed to make the day run quickly and smoothly. Volunteer role: Receive training and assist with testing students’ eyesight and hearing. Volunteers are needed for half-day or whole-day shifts. Garden to Table The LES garden team works directly with our students to plant and harvest lettuce, then prepare an all school salad for everyone to enjoy! Volunteer Role: Prepare planting beds in fall/spring after school or on the weekends, assist students as they tend the garden during school hours, help care for the garden during summer break. Enter class lists and staff contact info, assist in proofreading before final print. Also help at the All School Assessment Day. School Pictures Volunteers help by ushering students to the picture area, helping to fix hair and getting kids back to class. Help is needed for one day in September for student picture day and for class picture day in April. King Soopers & Alfalfa’s Cards Volunteers are needed to assist in selling King Soopers and Alfalfa’s cards at various school functions. K-1 Ambassadors Attention current Kindergarten/future 1st grade families in ’18-’19! This program, which runs June 2019 – August 2019, welcomes incoming kindergarten families to LES by connecting them with parents of soon to be 1st Graders. The “ambassadors” and new kindergarten families gather for Lemonade and snacks at the Kindergarten playground, the Sunday before school begins in August 2019. In addition to the Lemonade gathering, play dates are organized at Memory Square throughout the summer for incoming kindergarten families.